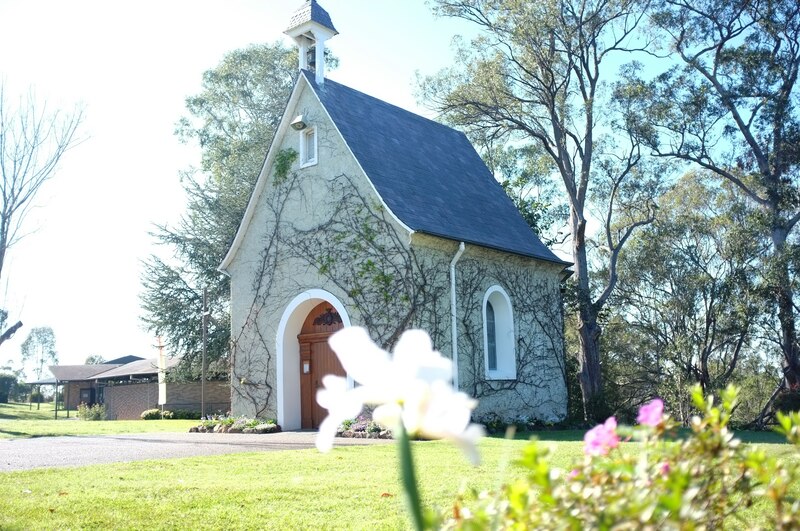 The Mt Schoenstatt shrine, west of Sydney, is a replica of the original shrine in Schoenstatt, Germany. Originally published in The Catholic Weekly. 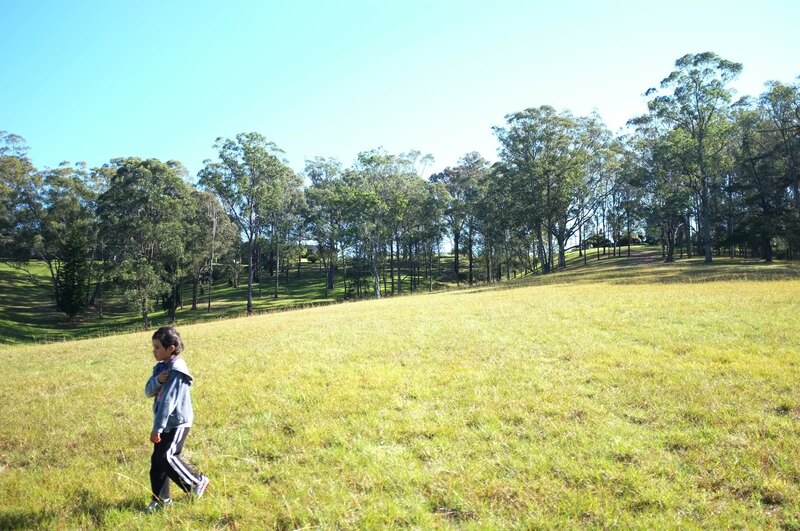 Last weekend we were fortunate enough to be able to go on a family retreat with other couples and young families hosted at the Mt Schoenstatt retreat centre in Mulgoa. I’d never been to the centre and its beautiful shrine before. It is as they say, a ‘place of grace’. It was exactly what we needed, to leave our usual hectic weekend routine and spend time with other Catholic couples who are trying to grow in their faith and instil it in their children. 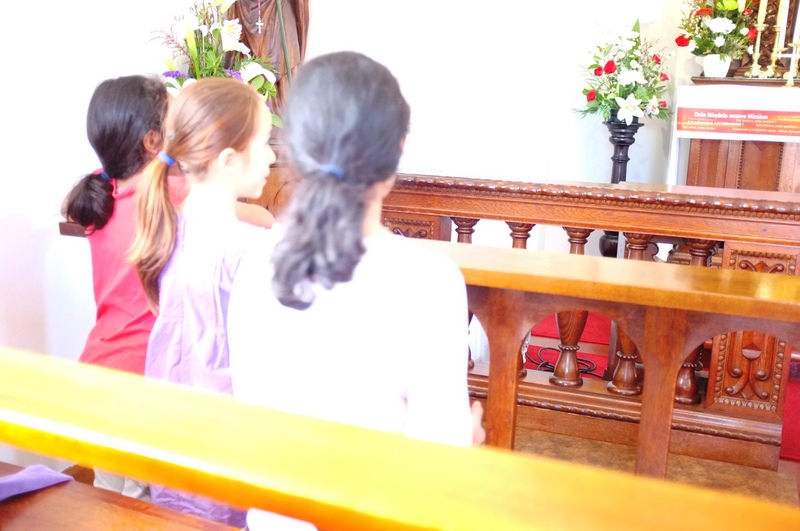 We joined together for prayer times, play time, and meals, but the children were also entertained separately at times so that adults could concentrate on some input and encouragement in Catholic living and family building in a fast-paced culture. The children quickly made new friends and were inseparable from them; the couples were treated to an intimate candle-lit formal dinner in a pop-up restaurant. The kids ran (a couple fell!) down this really steep incline into the valley behind the retreat centre and shrine – scaring the heck out of their parents. But it was so beautiful and no one got too hurt so it was all good. Retreats are indispensable for spiritual and human growth. They are different to holidays. On a holiday there’s no real reason to break off our smart phone addiction for a while, for example. One could spend the whole time posting photos on social media to make our friends jealous! We’re still occupied, just with different things than usual, with travel schedules, events, activities. God doesn’t necessarily get a look in when we’re on holidays. We consume a holiday – we make a retreat. On retreat we intentionally clear a space for God to come in. A family retreat is obviously going to be a loss less intense than a personal, silent, retreat, but it has the same effect for the children – they observe the importance of prayer, it punctuates the day in a more intense way than usual. They see the example of other adults, their friends, and possibly religious brothers or sisters at prayer. There was a clear Marian aspect to our family retreat. One can especially sense the maternal presence of Our Lady in the shrine. It’s great to have a spent a weekend with her and Jesus, the other retreatants, and the retreat team led by Sr M Julie Brcar. Next month on October 19 the community is expecting to welcome around 3000 people for the 100th jubilee celebrations in honour of the movement’s founding by Fr Joseph Kentenich in Schoenstatt in Germany. See the Australian Schoenstatt website for more information. There are Schoenstatt shrines all over the world. Have you ever been to one? I think any good retreat is something to experience Casey! I was really impressed with Mt Schoenstatt and the story of its founding and the movement behind it. But I was especially impressed by how many people were turning up there on the Sunday morning for Mass and prayer at the shrine – heaps!